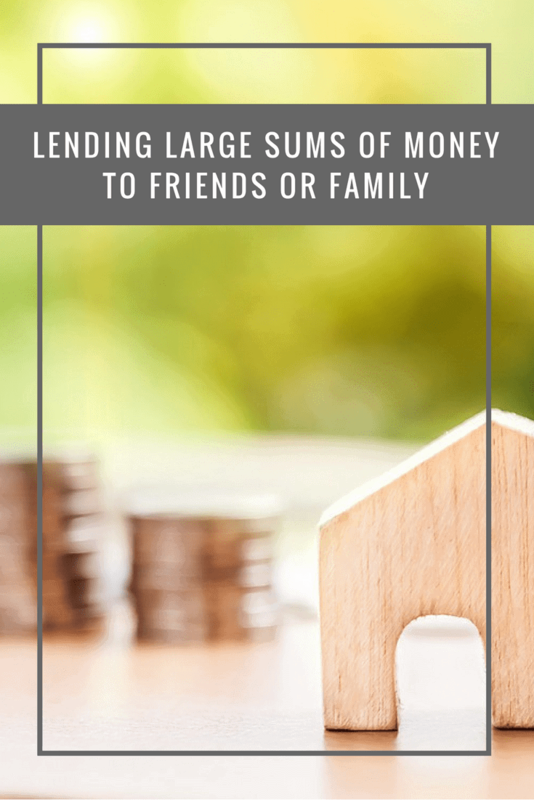 Would you – should you – lend large sums of money to friends or family? It’s a thorny question but one that crops up more often than you might think. What do you do if a member of your family asks to borrow money, and you know you have the money in the bank and could help them out? Would you? Should you? How can you not? On the flip side, everyone knows that this is dangerous territory – it’s risky to do business with family or friends. Financial entanglements have a real potential to ruin relationships and they can even cause family feuds. If you’re asked the dreaded question, give yourself ample time to think it over carefully before you reach a considered decision. It goes without saying that you should never lend more than you can afford, whether it’s to family, friends or strangers. If the arrangement is for a loan that will be paid back at whatever terms you agree, you should be able to trust that this will be the case. That said, you should also be prepared for the eventuality that you may not get the money back, possibly through no fault of the borrower. Ask yourself if it would financially cripple you if you never saw the money again and if the answer is yes, don’t lend it. You should be very clear about what your money would be used for. Is it to pay off debts or go on holiday? To help with a major capital purchase such as a car or a property? A great business opportunity? You need to understand why the person is asking you (as opposed to a regular lender) for a loan, and what terms they envisage for it. Check out the details provided and if you feel comfortable with the idea, there’s no harm in pursuing it further. However, if there’s a red flag, walk away now. How will the rest of the family feel? Families are complex structures, but throw money into the equation and relationships may become unbalanced. How will other family members feel if you lend money to one but not the other? If you’re a parent or grandparent giving a loan to a (grand)child, it may be a good idea to call a family meeting and openly discuss the idea. That way, everyone is kept in the loop and can make their feelings heard. The last thing you want is to be accused of favouritism or inadvertently hurt a loved one. Lending a sum of cash to someone is one thing, but opening an account or credit card in your name for their use should ring alarm bells. What happens if they go overdrawn or don’t pay back their debts? However close the relationship, it is very unwise to put yourself in a position where someone else’s actions may affect your own credit rating. If you must make a loan, make it cash lump sum, which won’t affect your credit score. The money you’re lending to family or friends won’t be earning any interest in your bank account, so it’s only fair that you should be remunerated for your act of kindness. Agreeing an interest rate means that your borrower will be more motivated to pay the money back sooner rather than later. It also makes it very clear that the money is not considered to be a gift under any circumstances but, family relationships notwithstanding, a commercial arrangement between you. Agreeing on the interest rate is important but it’s just one part of a loan agreement. You need to be crystal clear about the amount being loaned, the repayment schedule, any late fees and penalties. Talk frankly about how the loan agreement is going to work to avoid any future confusion and miscommunication about what happens about paying the money back. 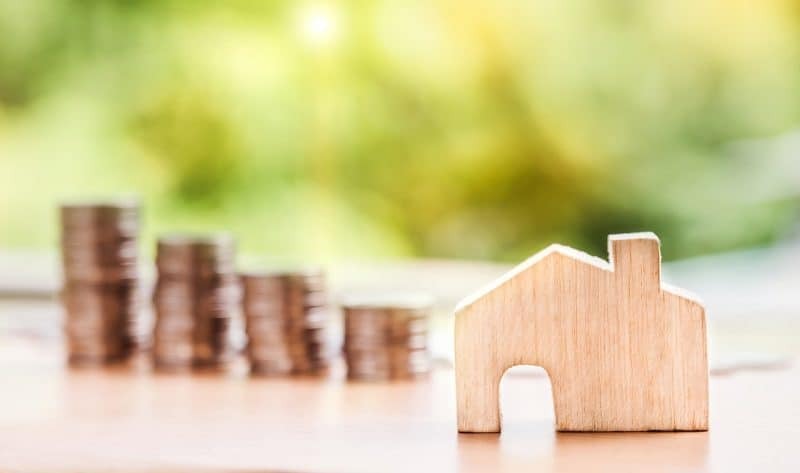 For everyone’s protection, it is advisable to seek specialist financial and legal advice and draw up a legally binding written agreement that is signed by you both. An experienced financial adviser, tax accountant and private client lawyer specialising in investment advice (such as George Ide Solicitors) will be able to answer any questions you may have, advise on what is and isn’t possible and go through some worst-case scenario planning with yourselves. Should legal action ever become necessary, perish the thought, the written contract will form the basis of your case and protect your interests.